Poem-sword in one hand, packing tape in the other, recycling bin in my third hand and tissues in my fourth. My fifth hand is clutching a steaming mug and my sixth hand is wasting time on Facebook. My seventh and eighth hands are clasped in some kind of prayer, for forgiveness and strength, and all my other hands are clapping a rhythm to keep the rest of us on task. (Futile). Later, the right hand will order pizza while the left opens a beer and the others will rest, their weary knuckles lined up still as the stones and shells collected along faraway hills and shores, the useless stones and shells that I tell myself I do not need in this next life. Stones and shells held in younger palms once, stones and shells cold now, but once warm with the energy of discovery. Every stone, every shell: the most beautiful, the smoothest, the whitest, the thin-as-a-dime, translucent ones, the one black as the cold Pacific on a moonless night, the round one full of holes and light as a bite of sponge cake, the tiny snail shell spiraling the way my heart does, these last days in this home where I spent more years than any other. Back on task. My extra hands snap softly, whisper-snapping a nice quiet beat, ceremonial sort of, as I plunge my two hands into the bowl of stones and shells. It’s a big heavy bowl, overflowing with memories—the brightest, the shiniest, the darkest, the ones dyed ugly purple-pink with my own shame. A few marbles are mixed in: a topaz one, cat’s eye, like the cat who doesn’t live here anymore. There’s a pointy triangular piece of sharp-edged sea glass and an orange gem from a Mancala game, shiny as little girls’ laughter. I have to stop. It’s time. They are only stones and shells. Such a rattle in my heart, settling and unsettling, as I move on at last. This entry was posted on May 25, 2015, 5:42 pm and is filed under creative writing, musings, photography, Uncategorized. You can follow any responses to this entry through RSS 2.0. You can leave a response, or trackback from your own site. I can soooo relate to this post! I am having similar difficulties, sorting through boxes of stuff that has been moved from house to house, country to country as we made our way across the world. And yet, I still cannot let go of them. I managed to let go of some items, but there are still many that I just can’t let go off. Not yet. Yes, Dawn, now that I’m settled in, the idea of ever moving again…ugh! But it also feels good to be ‘lighter’. Thanks for your well-wishes and for reading. So incredibly moving and beautiful! Thanks so much for posting this!! Thank you, Ellen, for reading and commenting. Take the stones!! beautiful writing I had to share. A very belated thank you, Mary. 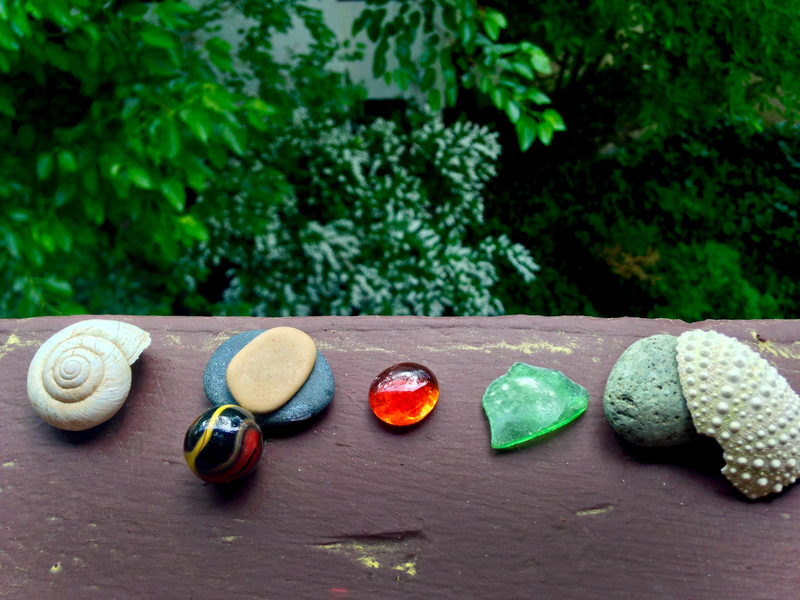 I took some of the stones…and now will undoubtedly collect more!